Even as parent WPP considers its long-term strategic position in the consumer research marketplace, its Kantar unit is rolling out a new interface aimed at on-demand enterprise users, as well as the long-tail. Dubbed Kantar Marketplace, the new platform effectively is a turnkey, on-demand research and insights store drawing from Kantar’s massive historical data, as well as offering quick, agile surveys and polling for those looking for a quick turnaround to power their real-time marketing and media strategies. The store, which already is accessible in most major markets now, will be available in 30 countries by the end of the month. “We felt that we need to continue evolving our services,” Heath Greenfield, executive vice president of global strategy and corporate development for Kantar’s Insights Division, told me during a briefing prior to its rollout last month. Link: A pre-testing solution for TV, digital, outdoor, print or point-of-sale ads drawing on Kantar’s historical database of about 200,000 ad campaigns. Ad Now: A simple, A/B or variant testing system enabling self-serve customers to measure the performance of creative and media results at various spending levels. Quick Polls: An instantaneous polling system that can turn around a 1,000 respondent survey in less than one hour. DIY Survey: Enables customers to write and launch their own turnkey surveys targeted at specific audiences in minutes. Whatever happens with Kantar’s WPP relationship long-term, the diversification into real-time, self-serve markets is a smart play, because it 1) enables what historically has been mainly a big enterprise platform serving only the biggest marketers into medium and small sized businesses; and 2) It enables Kantar clients of all size to accelerate the deployment, turnaround and actionability of research in a world that moves increasingly faster than old world omnibus and syndicated research studies. 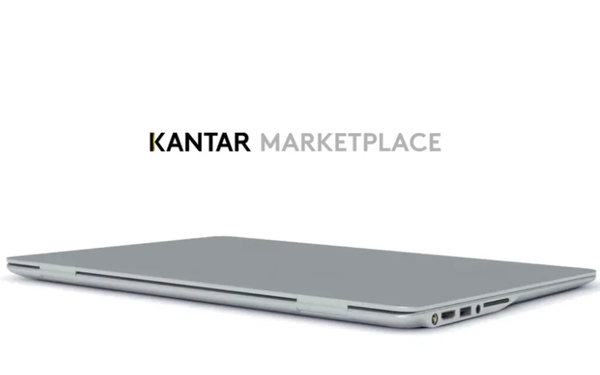 Introducing Kantar Marketplace from Kantar on Vimeo.